Pearl Jam performed the live debut of their new single, “Can’t Deny Me”, at the Movistar Arena in Santiago, Chile on March 13, and video from the event is streaming online. The band dedicated the song to the survivors of the Parkland, FL school shooting and the students taking part in the National School Walkout on March 14. "This is dedicated to the incredible students in Florida, and the United States, who survived a terrible tragedy,” Eddie Vedder told the crowd, in Spanish. “We will all be protesting tomorrow throughout the United States. We support you all, and Emma Gonzalez, we love you. We'd like to play this for them, and us." Pearl Jam issued “Can’t Deny Me” to the band’s Ten Club members a few days ahead of its official release earlier this week; the tune is a preview to their first new studio album in five years. The Santiago show marked the opening night of the Seattle group’s 2018 live schedule and South American tour, which will see them play Lollapalooza festivals in Chile, Argentina and Brazil, as well as a headline concert in Rio de Janiero, Brazil. 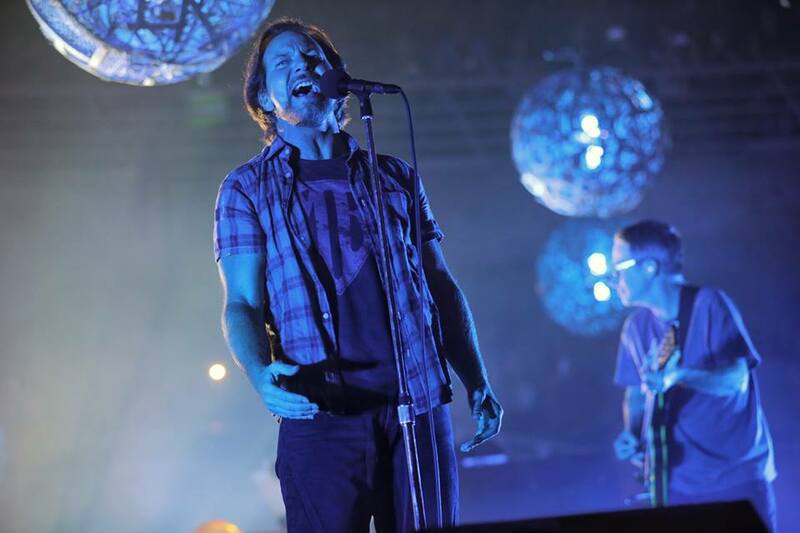 Pearl Jam’s 30-song set mixed material from throughout their career with covers of tracks by Pink Floyd, The Who, Wayne Kramaer and Victoria Williams, and included a tribute to the late Chris Cornell of Soundgarden.